Should My Dog Sleep Indoors or Outdoors, and Is It Cruel To Keep Him Outdoors? 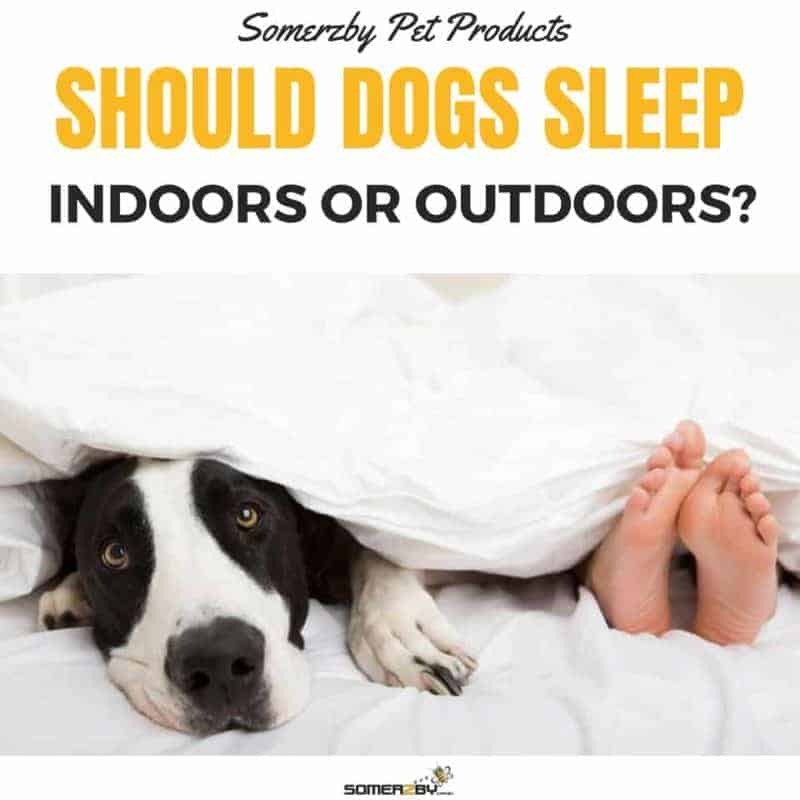 Everyone has an opinion on the classic debate – should pet dogs sleep inside or outside? Whilst it is becoming more and more popular for dogs to sleep inside, deciding where your dog sleeps is a personal decision. When determining where your dog will sleep, there are multiple factors to consider including where you live and the breed of your dog. The number one concern for most dog owners is the weather. Can Dogs Sleep Outside in the Cold? Many owners worry about their dog getting too cold when sleeping outside. Most dogs can withstand cooler conditions than humans. Dogs use their coat, skin and fat to protect them against the cold. However, dogs are still susceptible to risks associated with cold temperatures. It is the responsibility of the pet owner to provide shelter and make sure your dog is both healthy and comfortable. It is worth noting that more dogs are injured or die from extreme hot weather, than extreme cold. When deciding if you are going to have your dog sleep outside in the winter weather, consider how cold it really gets where you live. Australia has a range of different climates. Whilst it is warm most of the year in the Northern Territory, it can get very chilly in Tasmania. When the temperature drops to 10 degrees Celsius, it is starting to be too cold for some dogs. Seven degrees Celsius is possibly dangerous for some breeds. When the temperate drops to 4 degrees Celsius and below, it can be life threatening for most dogs. As well as temperature, consider the wind-chill. It is important to think about how cold it really feels. What Type of Dogs Can Sleep Outside in the Cold? Whilst any dog will suffer if left outside in freezing weather, some dogs are much hardier and suited to outside than others. Dogs which are young puppies, very old or sick are not as capable of regulating their body temperature. Dogs with arthritis might find it is worsened in the cold, with cold weather causing stiffness. Some breeds are not suited to sleeping outside. This includes breeds with short hair or thin coats. Small toy breeds with thin or small bodies (with low body fat) are also not suited to cold weather. This includes greyhounds, chihuahuas and beagles. Larger breeds with thick, double-layered coats will be the most tolerant to the cold. This includes huskies, newfoundlands and samoyeds. If you are unsure if your dog’s breed can handle the cold, ask your vet. It is important to recognise when your dog is too cold as it can put your dog at risk. Use your pet’s behaviour to guide your judgement. Signs of your dog being at risk from the cold include shivering, being curled up in a ball, whining or expressing anxiety. When in doubt, use common sense. Watch your dog and follow your instincts on how it is feeling. The most common risk of your dog sleeping outside is feeling cold and therefore discomfort. However, in very cold areas dogs can be susceptible to hypothermia, which occurs when a dog’s body temperature drops too low. Mild to moderate symptoms include weakness, a lack of alertness and muscle stiffness. Severe symptoms include difficulty breathing, coma and death. Frostbite is also possible in chilly areas, especially where snow is present. Symptoms include discoloration of the area, pain when touched and swelling. If your dog is sleeping outside, it may be necessary to make extra precautions to keep it warm. If your dog is small or has a thin coat, it may be wise to get it a jacket. This is especially important overnight. Make sure your dog’s coat fits well so that it does not rub, get caught or slip off. When grooming your dog in winter, consider leaving its coat a bit longer. Taking off too much hair can mean your dog might not be able to hold as much warmth. If you live somewhere with snow, ensure you don’t use a metal water bowl as your dog’s tongue can stick. Check regularly to make sure water isn’t frozen. If the temperature has dropped significantly, your dog may need to increase the number of calories in its diet. Dogs need energy for normal activities plus extra energy to create warmth. Beware over feeding! If your dog is sleeping outside, it is essential it has a good quality kennel to allow it to hide away from the weather. A kennel should shelter your dog from harsh wind, rain and the cold. Dogs require this protection so that heat is not drawn away from their body. The kennel must be sturdy and durable. It should be constructed from water- and wind-proof materials. The kennel should not leak in the rain and protect your dog from draughts. The roof must slope away from the entrance. 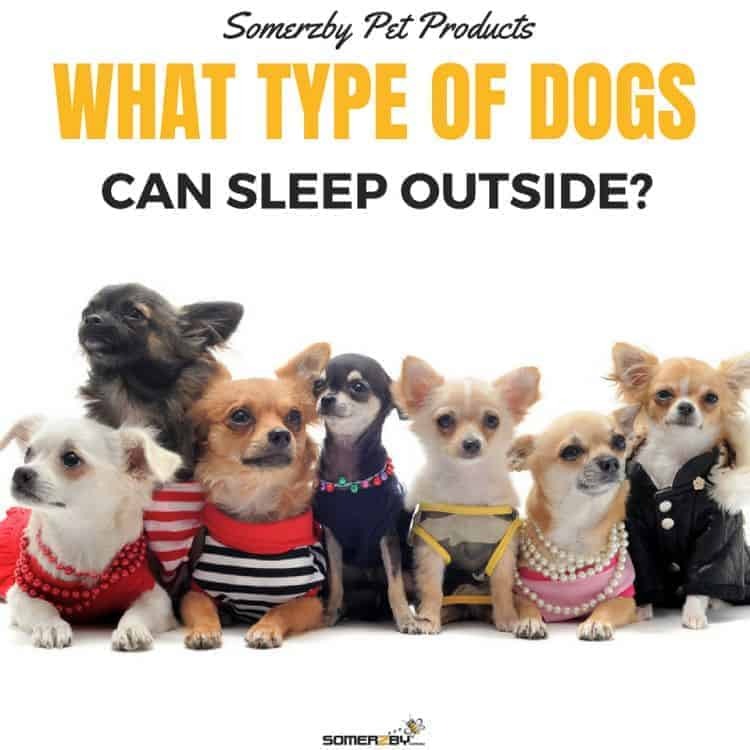 Somerzby Dog Kennels have asphalt rooves which are waterproof and will protect your dog from rain. They feature plastic flaps hanging over the entrance which reduce cold winter draughts. Your dogs kennel should also be raised off the ground to prevent the dog feeling the cold ground. The Somerzby XL Double Dog Kennel has plastic adjustable feet to give a raised floor and natural insulation. It is important to make sure the kennel is always dry. Add some warm and soft layers to the kennel floor to help keep your dog warm and comfortable. Use Vet Bed, blankets or a soft cushion. Regularly check the bedding is clean and dry. 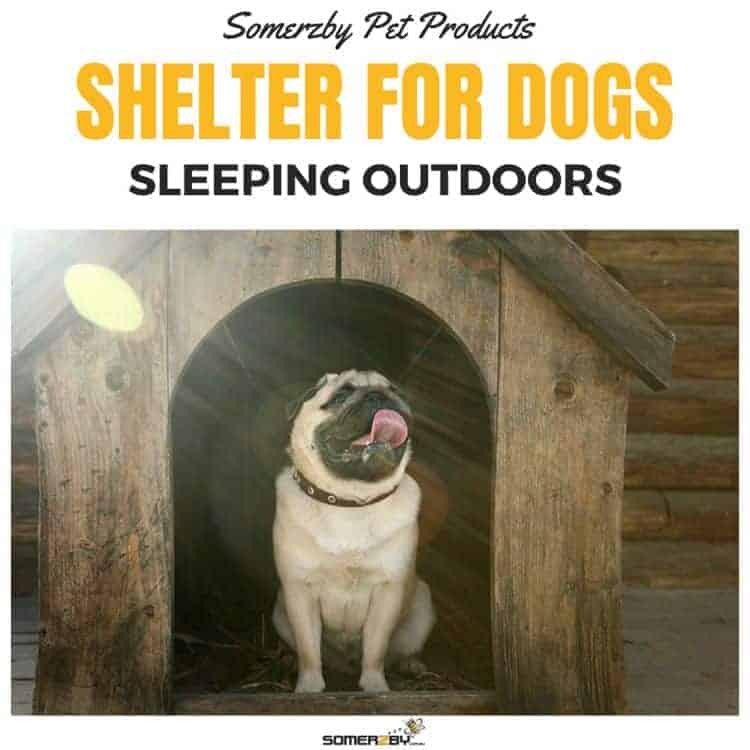 Somerzby Dog Kennels have an optional bed which can be added. 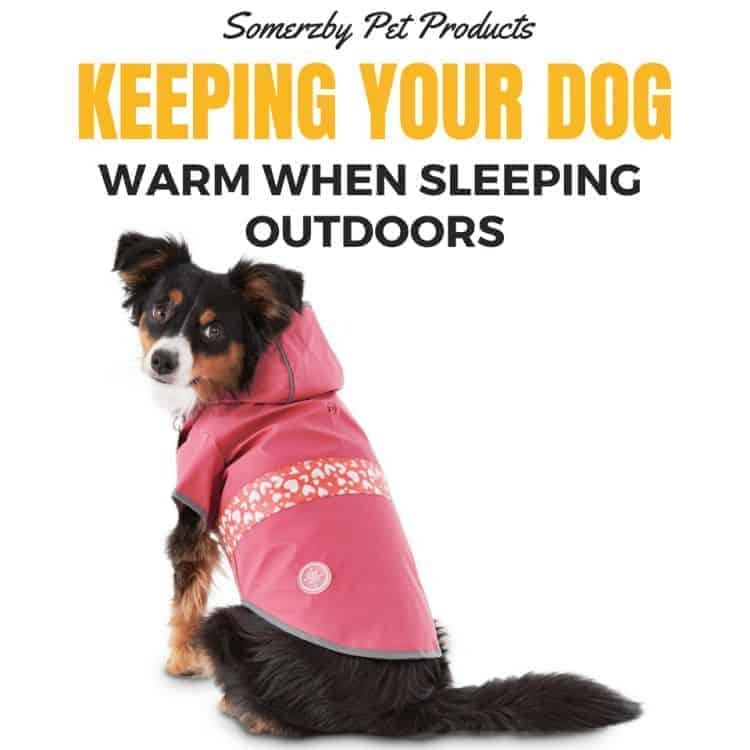 Somerzby dog beds feature a luxurious fleece sleep surface and ultra-plush bolsters to keep your pet warm and cosy. They feature synthetic fleece and cosy polyester filling with plastic backing. This entry was posted in Dogs and tagged dogs sleeping indoors, dogs sleeping outdoors, how cold, keep dogs cold, too cold for dogs.